New Delhi: As Prime Minister Narendra Modi spoke of Air India's turnaround in his Independence Day speech on Monday, the state-run airline is expecting to log over Rs 100 crore operating profit in the last fiscal and projecting to cross the Rs 700 crore mark in the current financial year. While the 2015-16 figures are still being audited and finalised, senior officials said, "We are sure to cross Rs 100 crore worth of operating profits in the last fiscal, largely due to low fuel prices as well as improved performance. In the current financial year, we are projecting that this figure will jump to Rs 700-800 crore." In his Independence Day address from the ramparts of Red Fort, the Prime Minister, while speaking on the turnaround of major PSUs, said, "Today I can say with complete satisfaction that Air India, which used to be notoriously known for incurring losses, has improved its operations leading it to log operational profits." The officials, however, said the biggest challenge before the airline was the massive debt burden of Rs 52,000 crore, whose servicing alone is costing the airline around Rs 5,800 per annum. After debt servicing, the cash gap between operating and net profit was estimated around Rs 4,000 crore. The carrier had incurred a loss of Rs 5,859.91 crore in 2014-15. Asked how they planned to bridge this gap, they said, "A proposal could be to convert the debt into equity. It is for the government to take a final call, but we have flagged it." 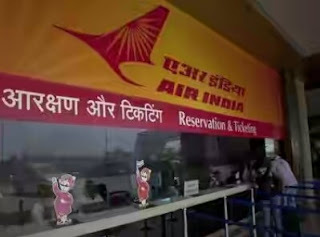 Maintaining that the airline was consolidating and expanding, the officials exuded confidence that Air India would become "very good operationally in the coming months by trying to adopt a more aggressive strategy in the market". This would be achieved through rapid expansion in its international and domestic network, along with a fleet expansion plan over the next 3-4 years, they said. When contacted, Air India CMD Ashwani Lohani said, "We are on the road to recovery. But there is still a long way to go due to the debt burden and other legacy issues." "We want to jump to Rs 700-800 crore worth of operating profits in the current fiscal. But this being a commercial enterprise and given the state of the aviation industry worldwide, this is what we desire. Everyone is putting in their best," Lohani told PTI here. To questions on Air India's network expansion plans, the officials said the airline on Monday launched the Ahmedabad-London -Newark flight, months after the Delhi-Vienna and Delhi-San Francisco services. The airline is planning to double the San Francisco service from 3 to 6 days a week from November one. The plans are to launch a flight to Madrid in January and to Washington or Toronto by April-May next year. The other routes on the anvil are Copenhagen and some destinations in Africa, they said. On the domestic front, the plans are to connect several Tier-II and Tier-III cities, they said, pointing out that "there is a lot of space and we want to take the first mover advantage" to these destinations. Regarding its fleet expansion programme which would be a combination of lease or sale and lease-back, they said while three new ATR turboprop planes have already been inducted to serve the domestic route expansion, "orders for ten more are expected to be placed in the next week to 10 days." Besides, Air India has also placed orders for 30 Airbus A-320s, six Boeing 787 Dreamliners and three Boeing-777s. Over the next four years, "We will either buy or lease a total of 115 aircraft (of different types) and retire 15 old ones. So we will add 100 planes in this period," they said. However on the flip side, the officials also expressed concern over "falling yields" saying this has been a factor affecting all Indian carriers which have seen their yields falling by as high as ten per cent.